Hans Peter Kuehlenthal, 79 of Gaylord, passed away at home surrounded by his family on Thursday, November 29, 2018. Born in Bad Kissingen, Germany on October 3, 1939, he was the son of Siegfried and Maria (Borst) Kuehlenthal. Hans grew up in Germany and came to the United States in September of 1958 on military orders, joining and serving in the United States Army from January 26, 1959 until March 14, 1962. Hans proudly served his adopted country and became a United States citizen on June 19, 1962. Upon coming to the United States, Hans spent time in Gaylord on the Holewinski farm. It was there that he met the farmer’s daughter, Dolores. After his military service Hans worked for a short time at Lockheed Aircraft as a master plumber before returning to Gaylord where he and Dolores were married on May 18, 1963. After returning to Gaylord, Hans worked for Vinicki Plumbing and Heating, US Plywood, Mayfair Plastics and Cooper Standard. Hans started Alpine Molding in 1979 and became an affiliate of May & Scofield in Howell, MI. Professionally, Hans was a member of the Society of Plastics Engineers. 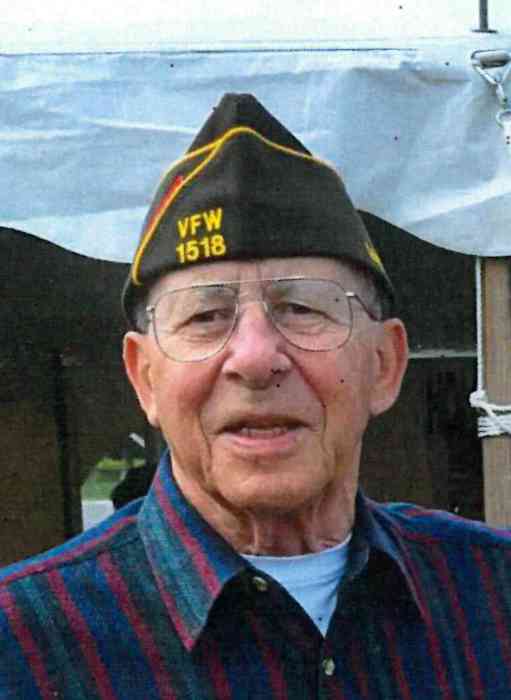 Away from work, he was a member of Gaylord Area Elks #2544, Gaylord Eagles #1825 and he was a lifetime member of Ralph Holewinski VFW Post #1518. Hans enjoyed playing golf and hunting. For more than 40 years he enjoyed annual pheasant hunting trips to South Dakota. Surviving is Dolores, his wife of 55 years; his daughter, Karin (Thomas) Beyer of Gaylord; granddaughters, Taylor Beyer of Chicago, IL and Mariah Beyer of Gaylord; and a sister, Ingrid (Helmut) Renner of Bad Kissingen, Germany. He was preceded in death by an infant granddaughter, Whitney, in 1990. A memorial service will be held at 12:30 PM Saturday, December 1, 2018 at Gaylord Community Funeral Home & Cremation Service where the family will visit with friends beginning at 11:00 AM. Those who wish are asked to consider memorial contributions to the Kuehlenthal Beyer Family Fund of the Otsego County Community Foundation.